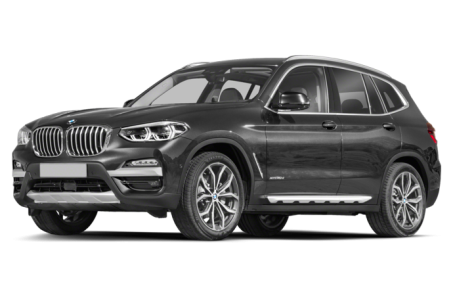 The 2018 BMW X3 is a compact luxury crossover that has been redesigned. In terms of size, it is positioned between the X1 and X5 in the lineup. It offers a sporty driving experience with its high-performance engine options and stiff suspension. Two trims are available: the xDrive30i and M40i. Powering the xDrive30i is a standard 248-hp, twin-turbocharged 2.0-liter 4-cylinder engine mated to an 8-speed automatic transmission and all-wheel drive (AWD). The M40i comes with a more powerful 355-hp, twin-turbo 6-cylinder engine.